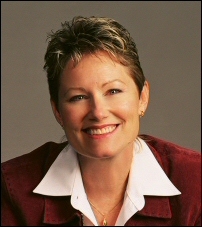 Our Featured Author for May is Karen Wright. When a reader finds my writing personally meaningful, they sometimes ask me how I learned so much about life. They ask if I have a degree in psychology or psychiatry or maybe religious studies. I always feel a bit un-credentialed facing that question. The truth is I have no such degrees. "How did you get so wise?" they ask. Wise? Well, I suppose the way anyone does... fall down and get back up. Life is my curriculum and I suppose the mere fact that I’m still standing is credential enough. Somewhere on this path I stopped blindly letting life have its way with me and started paying attention to how my challenges were refining my perceptions and stripping away the lies that hid my divine magnificence. 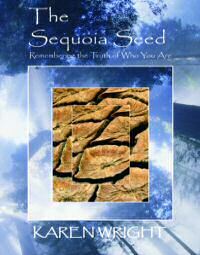 Readers also inevitably ask me why my book is called The Sequoia Seed. Did you know that the Sequoia tree is the most ancient and enormous living thing on the planet? Some are over 3,400 years old, taller than a twenty-five story building, and have a diameter of 35 feet! Yet they grow from a tiny seed that may lie on the ground for decades before taking root. And here’s the most fascinating part: the intense heat of a forest fire is what brings the seed to life. From that which destroys all else, the Sequoia seed thrives and germinates. This is what I’ve found true in life and I suppose what others sense in my writing -- the fires we face that can ravage and entrap, can also strengthen and free. 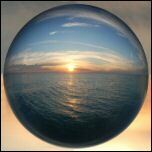 We can either be destroyed or we can be born to a higher awareness of life. What’s the deciding factor? The faintest willingness to know the truth of who we really are. To imagine that we are not accidents of evolution, but creators honing our craft. The seeds of greatness lay waiting for rebirth in the fires of the tragedies and crises we face. This is what I’ve remembered and know -- you are far stronger than anything you will ever face. Your challenges are child’s play to your eternal spirit. Life is your curriculum for the remembrance of your divine Being. Face your fires with the knowledge that your freedom burns brightly and eternally. Fear nothing. All is in order on your path. Nothing here is sent to destroy you -- only to wake you up to the truth of your remarkable value to all of humanity. You matter far more than you even imagine. Welcome to life -- we’ve been waiting for you to show up! Remembering the Truth of Who You Are"